Corinthian vessel (cup or bowl?). Small loop handle, circular in section. Classical-Hellenistic. Fine, hard clay with very few tiny voids and white inclusions. Unglazed. 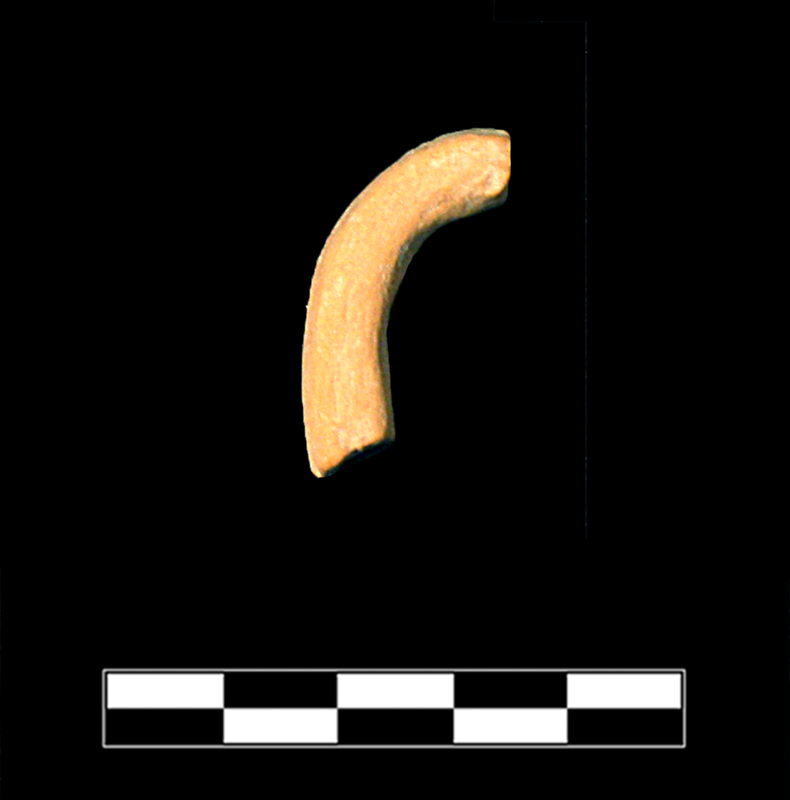 One sherd preserves small part of one handle. Slight, sparse abrasion, gouging, and chipping; worn breaks; scattered specks of encrustation.